Check out our products to help you upgrade your kitchen! 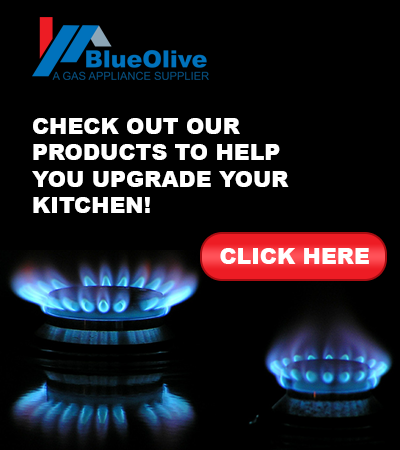 All Blue Olive gas appliances will have you cooking like a pro in no time. All the goods offered are brand new and come with a manufacturer’s warranty. Our natural gas wall oven features a large 80L capacity with a quiet fan, multi-function, auto timer, ease maintenance, versatility and more. 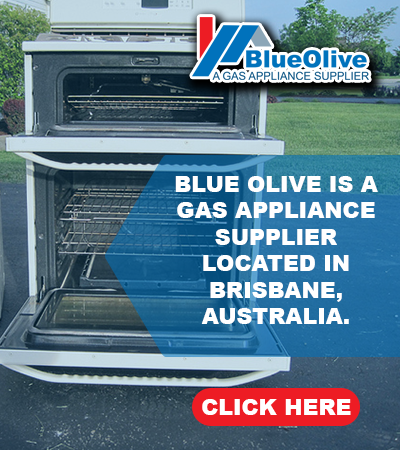 All Gas ovens are proudly Australian made. This large family-size capacity keeps energy usage to a minimum with A Class rating. The large oven window design provides more extensive views for efficiency. Our Gas Cooktop appliance features four gas burners with Flame Failure Safety Device (FFSD), Wok Cradle, Heavy Duty Cast Iron Trivets, and Two Semi-Rapid Burners with an LPG Conversion Kit. The flame failure safety system provides extra protection as the gas will automatically shut up once the fire goes out. The Cast iron trivets are study, rust-free, and reliable for daily use. Our Stainless Steel Speed Range hood features stainless steel with electronic push button controls, dishwasher-safe aluminum cassette filters, and two LED lights. The appliance provides a clean, clean shine with a powerful high extraction tangential motor. This will ensure maximum extraction of foul smells, unwanted steam, cooking and smoke residue from the kitchen. Need help to find what you’re looking for? Contact us now!